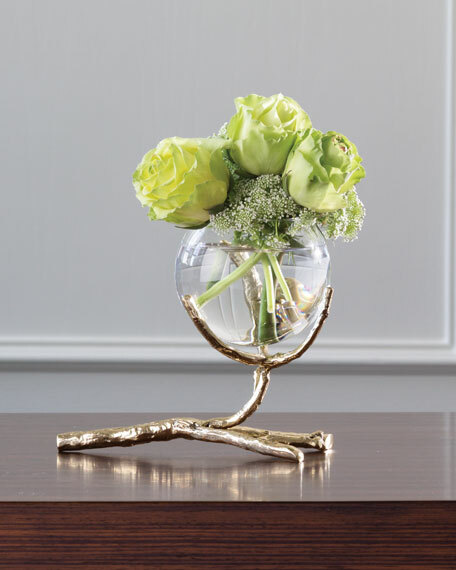 Solid sand-cast brass twist and turn creating our Twig Vase Holders. 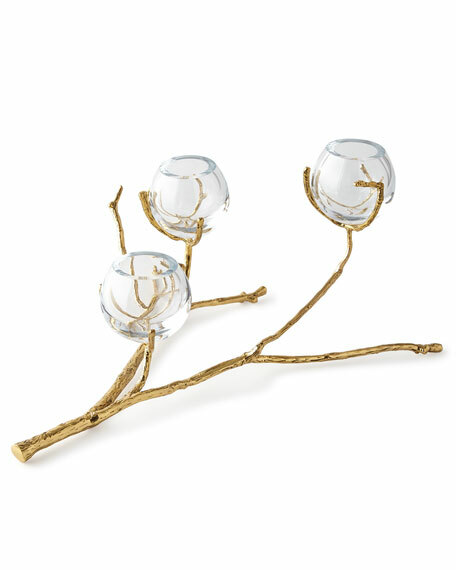 Glass bulb-shaped vases display small buds beautifully. 24"L x 17.5"W x 12"T.